Article by Alicia Miller of the Sustainable Food Trust. The United Nations (UN) has chosen 2016 as the year to celebrate pulses – a humble family of plants that deserve much more praise and recognition than they really get, for what they deliver on nutrition and taste, as well as soil fertility and biodiversity. There is a pulse for every agricultural region on earth and a cuisine which goes along with it. From Indian dahl, Southern black-eyed pea jambalaya, Mexican refried beans and French cassoulet to South American black bean soup, Middle Eastern falafel and hummus and Chinese yellow split pea pudding – it’s a ubiquitous ingredient in national dishes. Eat your pulses and you’ll not only be healthier for it, but you’ll also help to save our soils and mitigate climate change. It’s a food for us and a food for the planet. So, what should you know about pulses? For starters, what is a pulse? The pulse is a member of the legume family, a broad and diverse group of plants that includes forage legumes like alfalfa and clover, wh ich are not pulses, as well as seed and grain legumes like lentils which are. So a lentil is both a legume and a pulse. Legumes are amazing for their nitrogen fixing capacity and they help build fertility in the soil by feeding its microbial life. They are an important part of crop rotations in mixed farming systems. 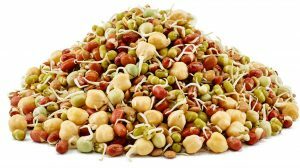 Pulses are the edible dry seeds of legumes – along with the lentil, they include chickpeas, cowpeas, dried beans such as kidney beans, turtle beans, broad beans and butter beans among many others. Pulses also include lupins, which here in the UK, we often think of as pretty garden plants, but they also provide a range of edible seeds. Because of their nitrogen fixing properties, pulses have a big role to play as a primary food source on a sustainable planet. They were one of the first crops to be domesticated by humans and have been farmed for millennia. They are also one of the largest plant families, with a vast number of species and varietals. They can be cultivated in a remarkable array of climates and terrain and don’t need a lot of water – a feature that could prove critically important as climate change brings more heat waves and drought. But most significant, is the role pulses play in soil health. Fixing nitrogen makes the soil richer for their growth and that of the plants growing with them, and diversity flourishes around them. And pulses free up phosphorus in the soil naturally, facilitating this growth; this disappearing mineral is often added to the soil in industrial agriculture, depleting natural resources of it. Further, pulses sequester carbon in the soil and that’s incredibly important. Many scientists feel that locking carbon up in the soil is the one of the best ways to cut GHG emissions, and pulses do this in spades. Add to this what they contribute to the soil in organic matter, improving its structure, and it becomes clear why they work so well in crop rotations, making for more sustainable agriculture. 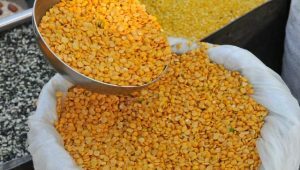 Pulses are a hugely nutritious food that are rich in protein and fibre as well as being fairly inexpensive. But they are not eaten as widely as you might think, especially in the West where only one in ten people eat t hem daily. They may not be the most glamorous of superfoods, but they are definitely worthy of the title. One of the reasons they are being celebrated by the UN is because of their potential to make a significant impact on hunger and malnutrition around the world. Pared with staple grains like rice, they form a complete protein, providing essential amino acids and nutrients. They are also a great source of folic acid which is important for women in pregnancy. But more than just providing solid nutrition, pulses can guard you against disease – they are rich in antioxidants and phytochemicals. The UN calls pulses “the special forces [of] the plant world” for their ability to fight disease and increase overall health! Pulses can help you both maintain and lose weight. The fibre that’s in pulses, makes you feel satiated and full for longer – so you are likely to eat less if they’re a regular part of your diet. But more importantly, that fibre gives pulses a low glycemic index which helps stabilise blood sugar, so you absorb it more slowly. Also, some pulses are rich in arginine, an amino acid that actually helps to burn fat and carbohydrates. Pulses are grown widely around the world, so you should be able to find ‘local’ varieties to eat. Though not a major crop, you can still get British pulses. Hodmedod’s is a great supplier carrying pulses from the commonplace green and yellow split peas, to lesser known stars such as gog magog beans. This also means that there is incredible biodiversity in pulses and that’s so important in the midst of the mass extinction of our flora and fauna that has been going on over the last century. Biodiversity is key to surviving climate change, because varietals are particularly suited to the diverse terrains they inhabit, and the less diverse a species is, the less likely it is to adapt and survive in changing conditions. Pulses contribute to soil biodiversity, supporting the health and fertility of the soil it grows in by increasing the microbial biomass. The UN has produced a fabulous little book on pulses, Pulses/Nutritious seeds for a Sustainable Future, which tells you far more about this fantastic food than just our five things to know. It’s also filled with recipes from around the world, based on the vibrant range of pulses that are grown. Try Tanzanian Beans in Coconut Milk, Pakistani Spinach with White Lentils or Turkish Red Lentil Burgers to name just a few.